Up to 40 Takata airbag-equipped cars in Western Australia have been refused registration, as the search for the deadly ‘alpha’ Takata airbags ratchets up. The bans come in the wake of an intensive blitz to capture and eliminate the last remaining cars on Australian roads still equipped with early-model – and incredibly volatile – Takata airbags. The Western Australian action comes after that state’s Department of Transport sent letters to 190 registered owners of cars on the national recall list, warning them the cars would be deregistered. With 66 compliances after the first letter, a second letter netted a further 28. Of the remaining 96, more than 40 registrations have been refused registration. 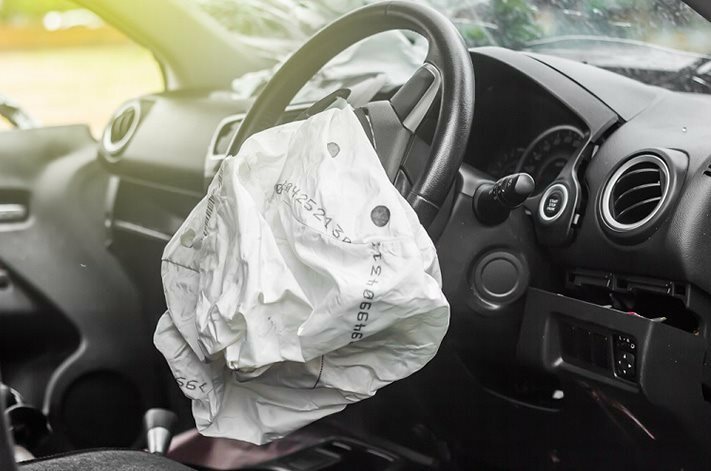 “Given the serious dangers that Alpha airbags pose, the department has now taken the step of cancelling the vehicle licence of affected vehicles,” a spokesperson from the department said. The department also claims it is the first in Australia to actually cancel registrations, even though NSW, South Australia and Queensland have made provisions within their own transport departments to do so. Read next: Australia’s compulsory Takata recall: What happens next? However, Victoria remains the only standout state, with car companies lashing authorities for prioritising revenue over safety. Of key importance is finding the last remaining so-called alpha airbags. The propellant within these bags – which is also used in military missiles as fuel - is now so unstable, the uncontrolled explosion can rip apart the metal ignition barrel, firing shards of metal at subsonic speeds into the face and torso of the driver or passenger. It is responsible for two deaths in Australia and more than 23 overseas. A driver of a 2002 Honda Civic was killed in Arizona only last week, according to reports. The car company said that 12 letters were sent and 20 phone calls were made to the car’s original owner about the recall, before the car was sold to the victim. Car companies including Holden, Ford, Toyota, Mazda, Nissan, Mercedes-Benz, Volkswagen and many more have spent millions of dollars and thousands of hours in tracking down cars fitted with the faulty airbags in Australia. Vehicle owners can easily check the status of their cars on www.ismyairbagsafe.com.au website or by texting TAKATA to 0487247224 to check the recall status. Haven’t checked if your car is affected yet?